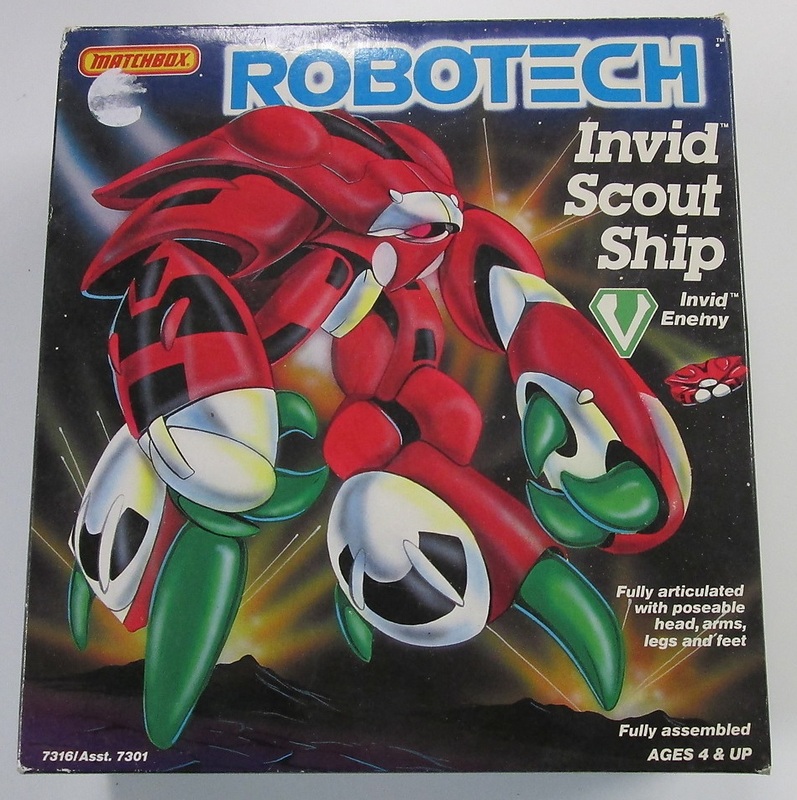 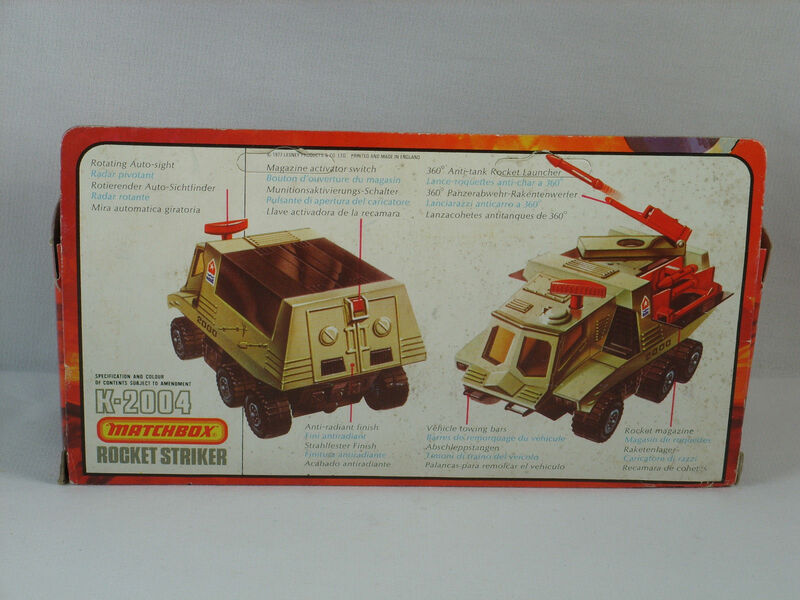 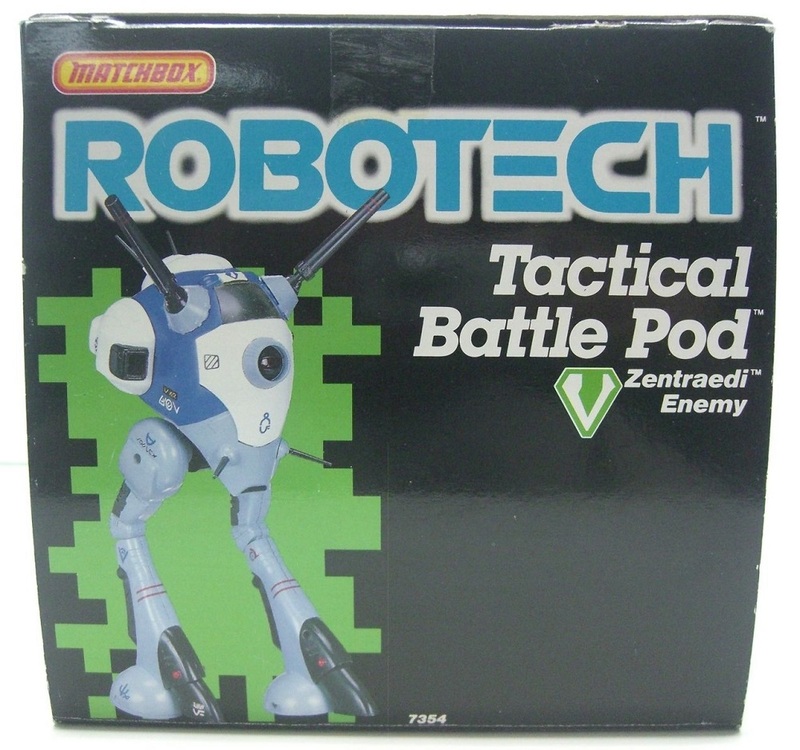 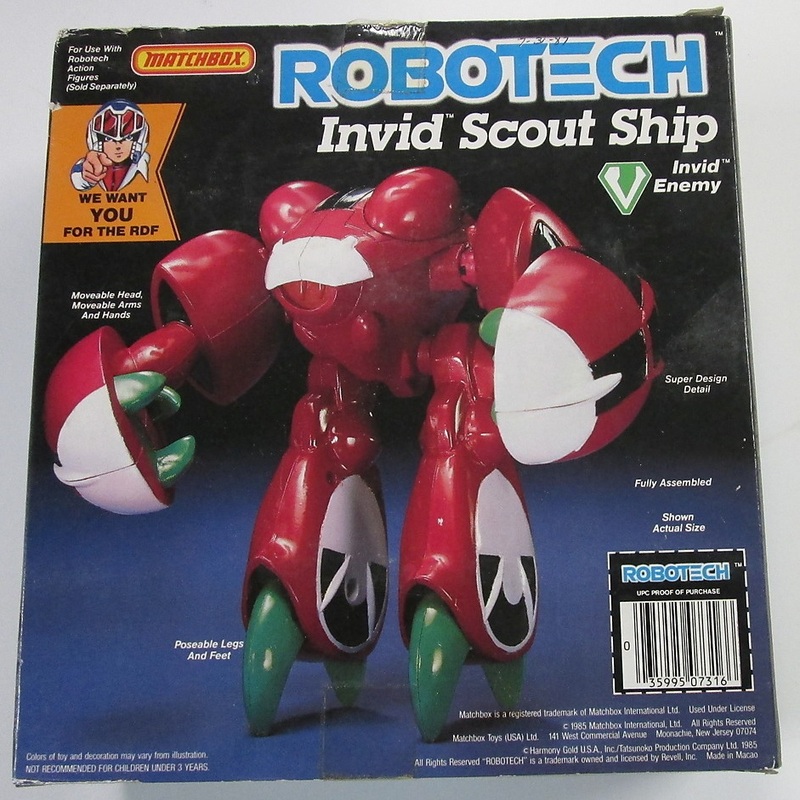 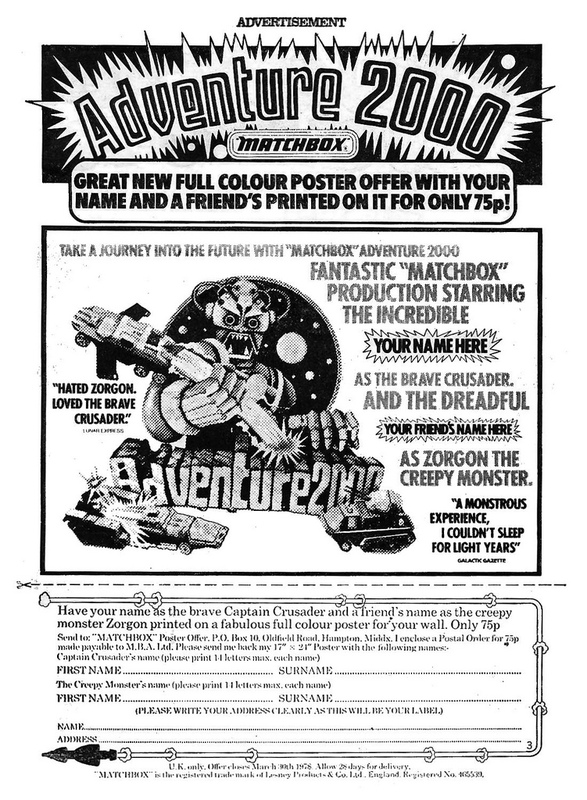 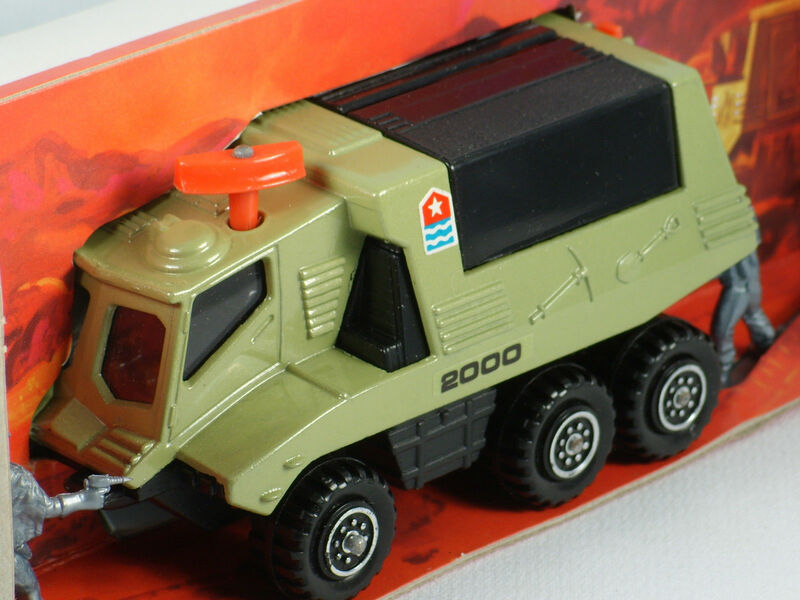 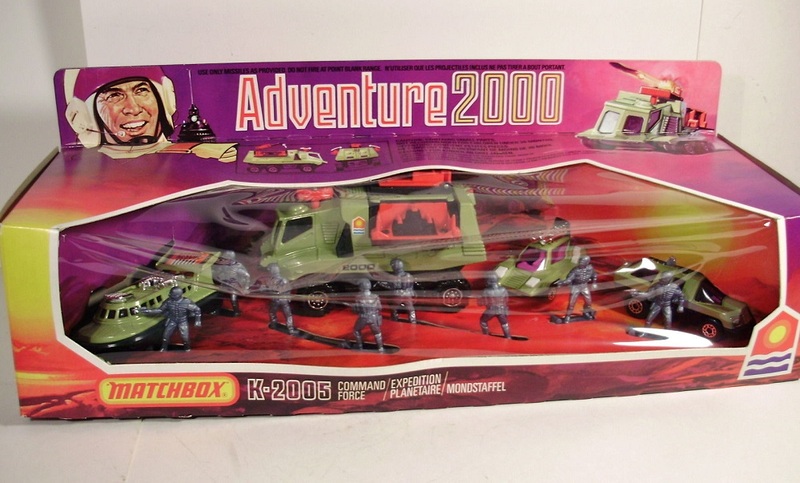 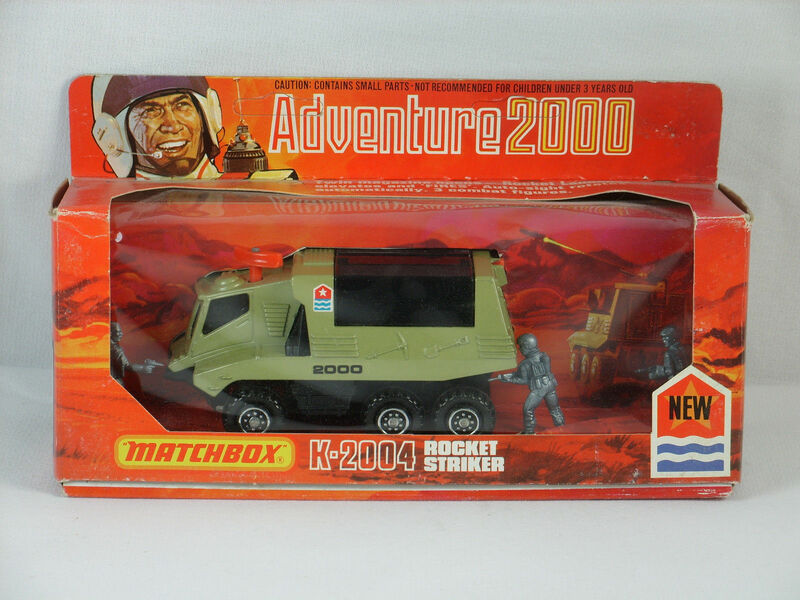 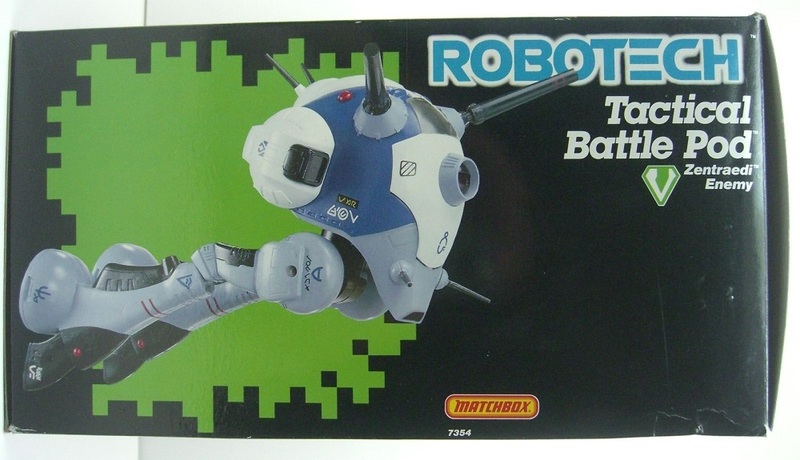 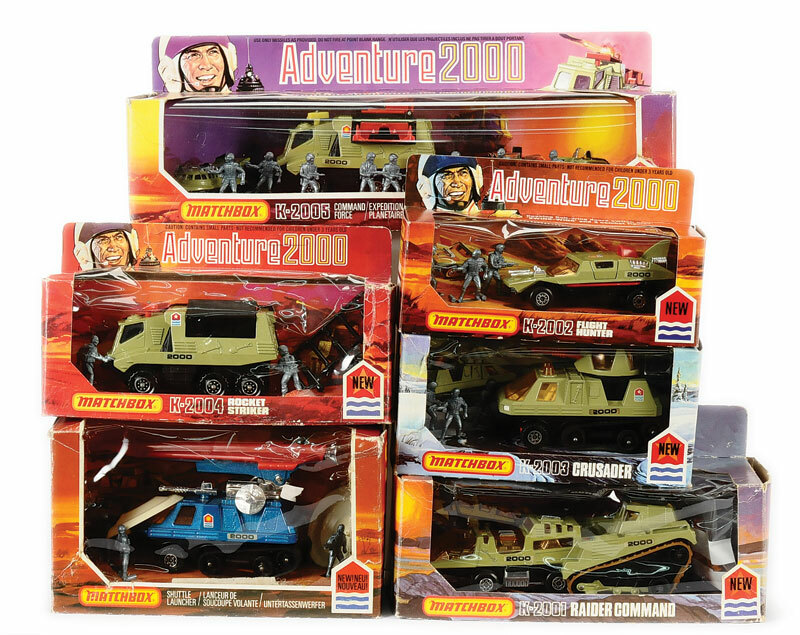 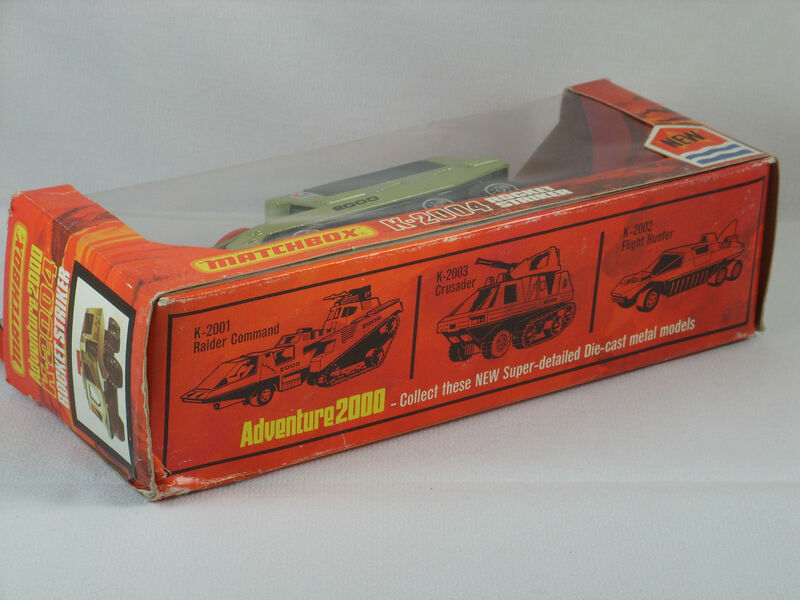 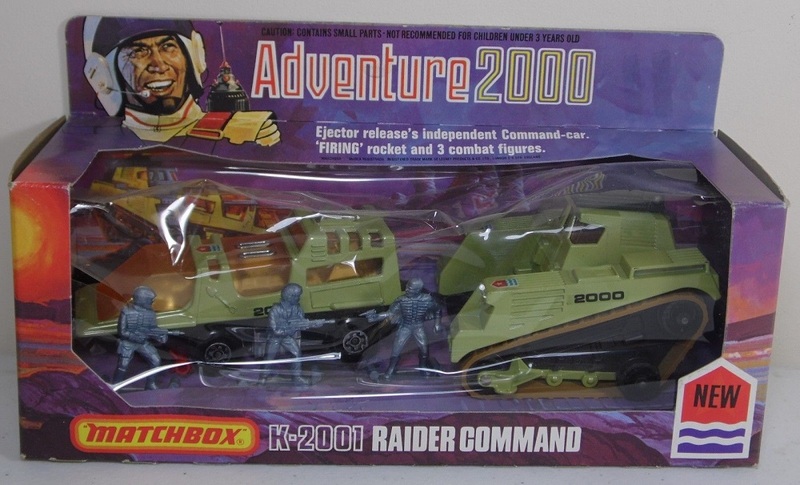 Not to be confused with Matchbox’s earlier Adventure 2000 line. 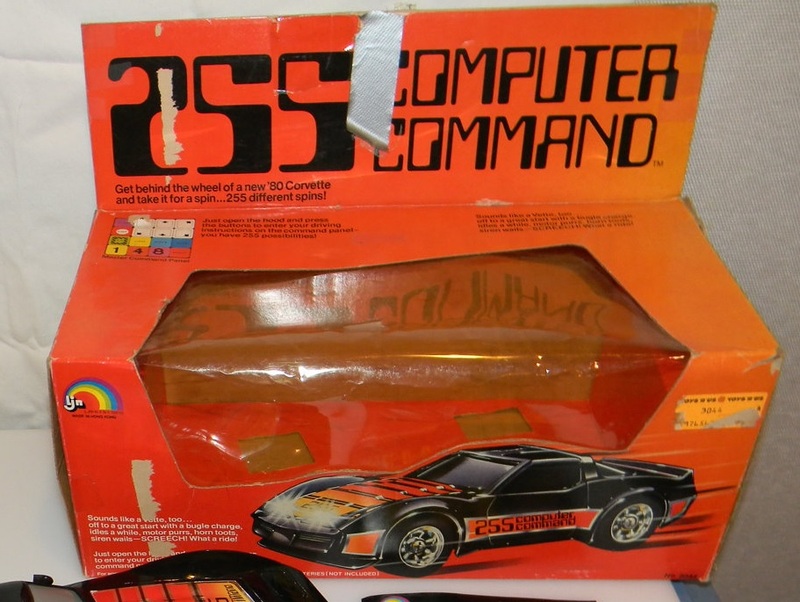 The caps were a bad idea, but the design is pretty smooth. 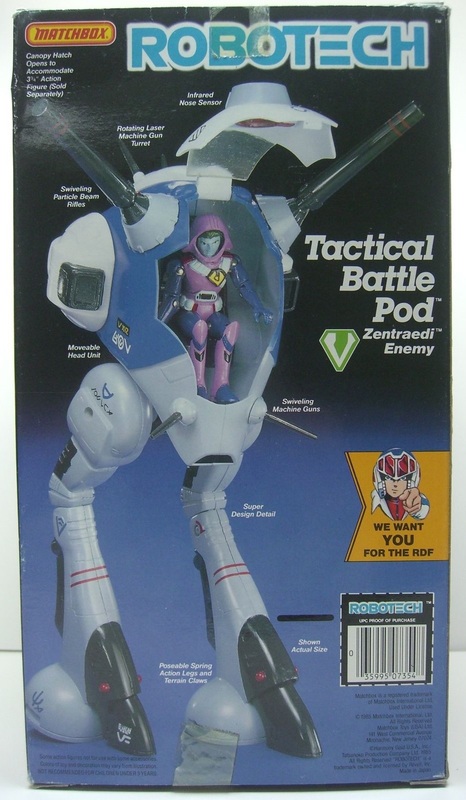 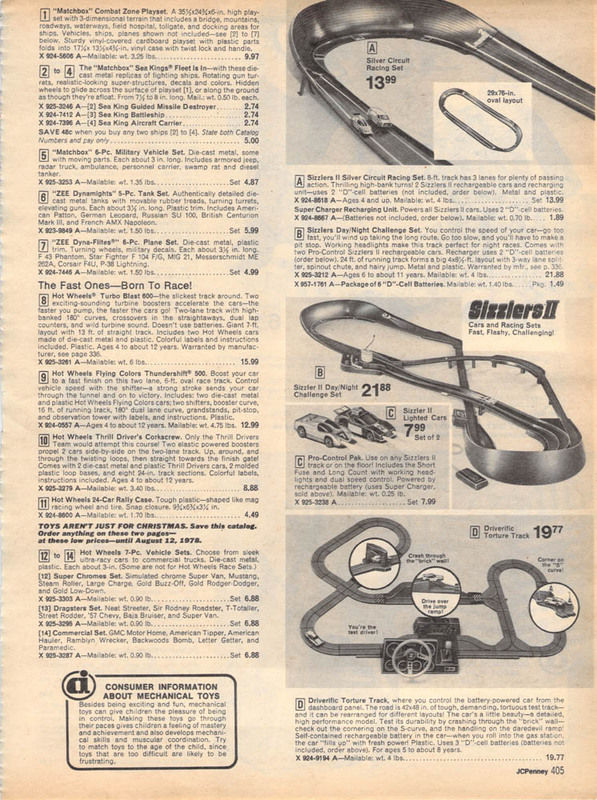 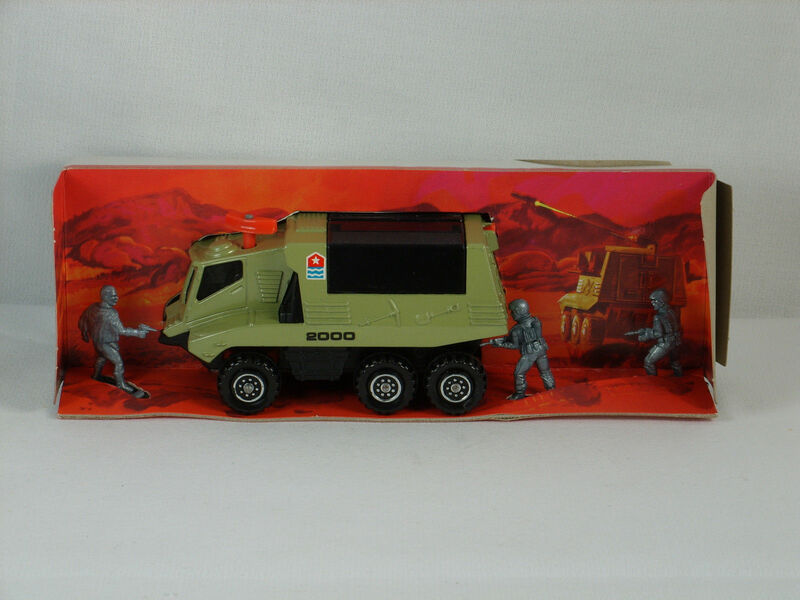 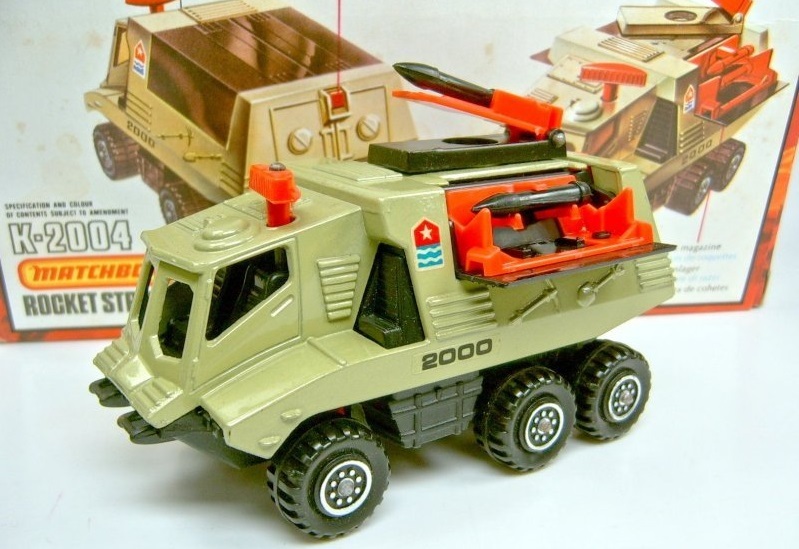 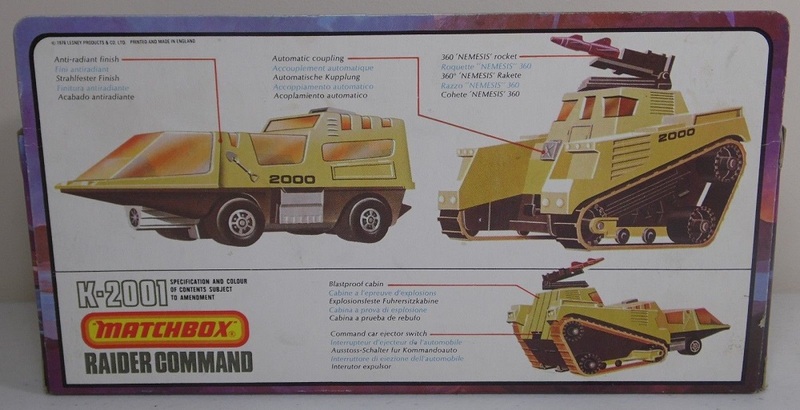 Seems to me that Kenner’s M.A.S.K. 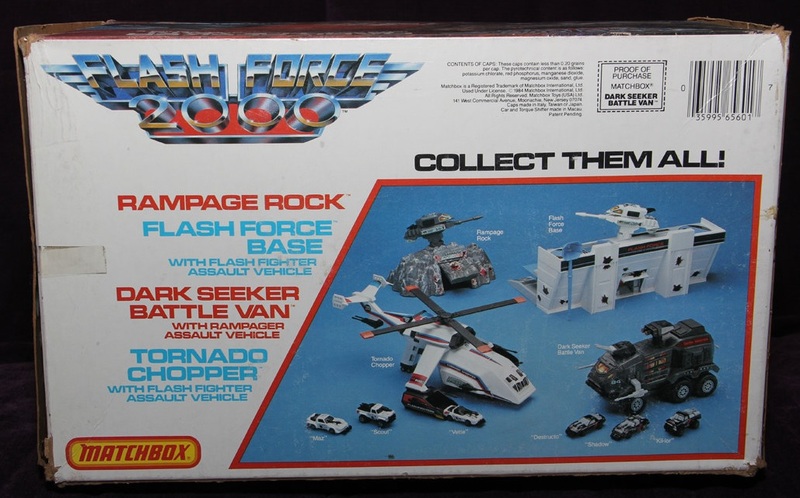 franchise owes something to Flash Force. 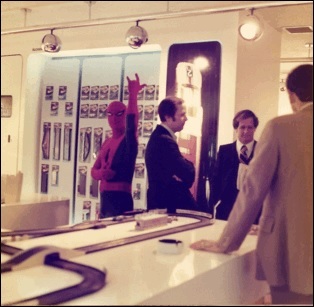 See more pics at Parry Game Preserve. 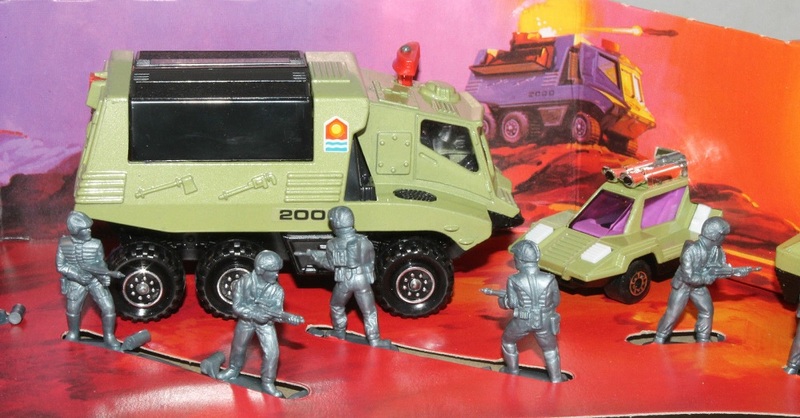 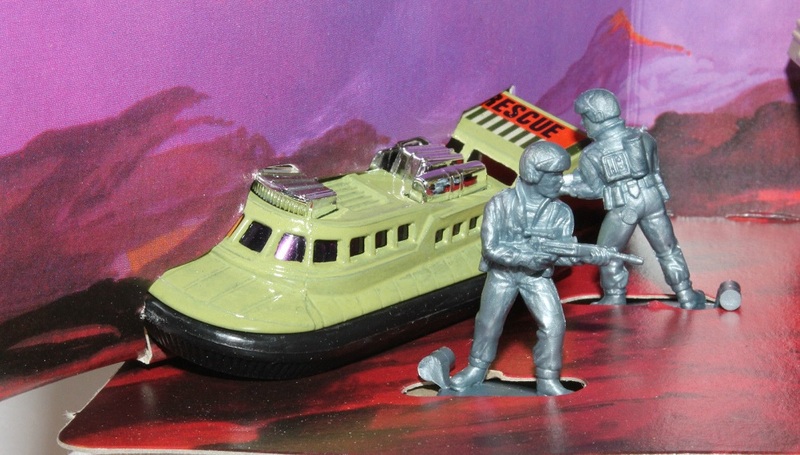 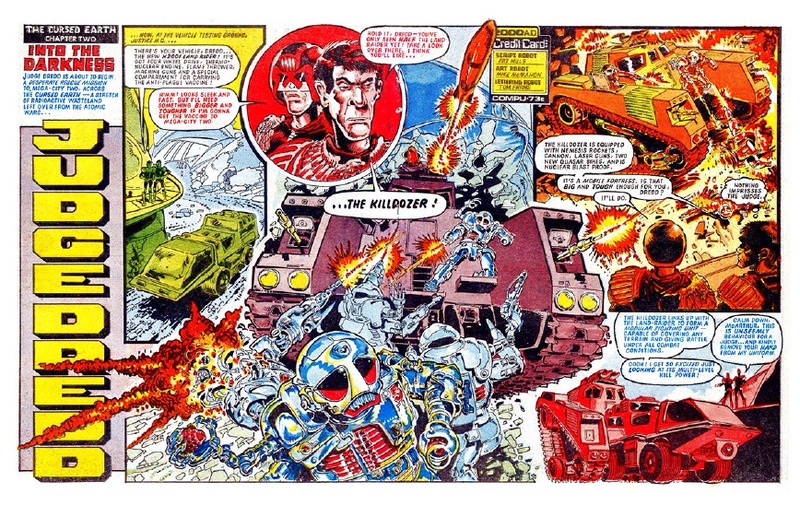 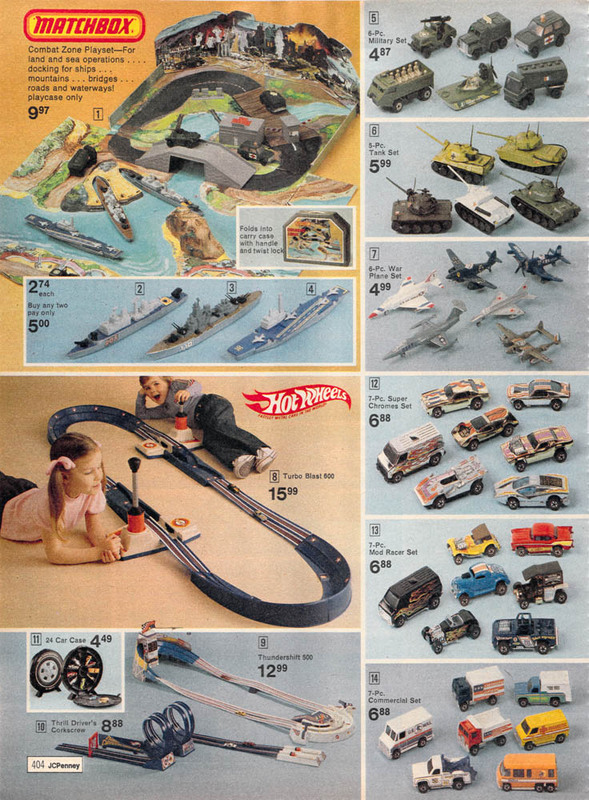 Like M.A.S.K., some of the toys came with a Flash Force comic (published by DC). 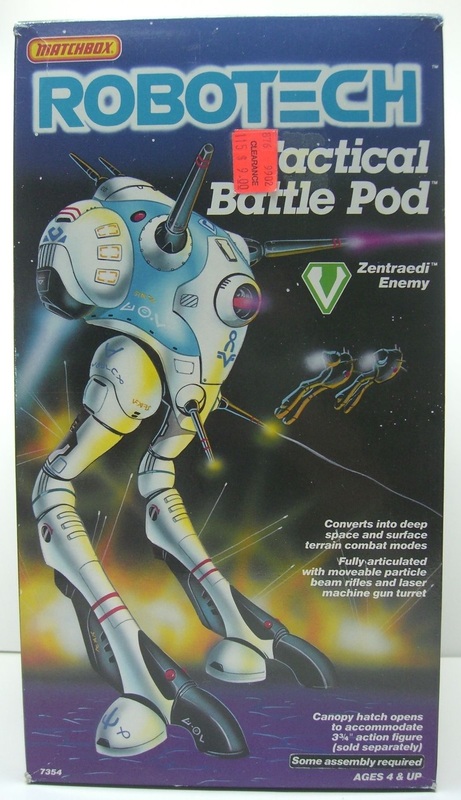 The last two weeks have been pretty heavy around here. 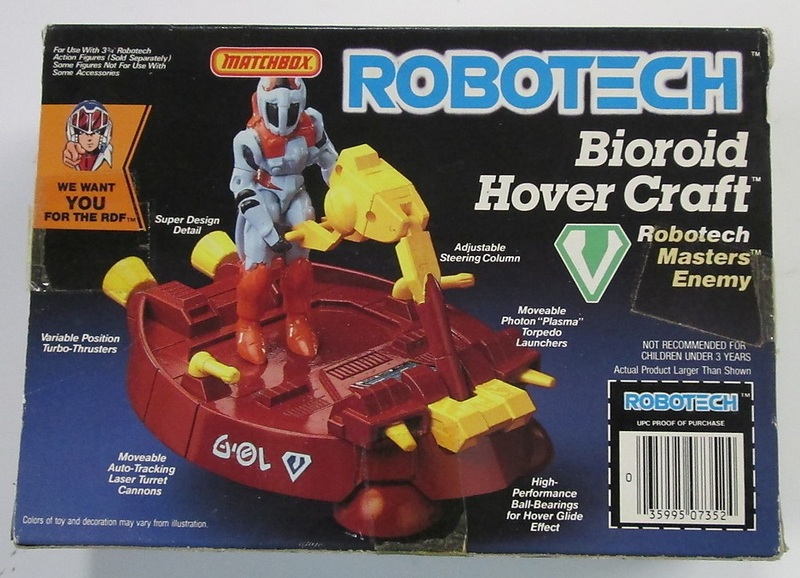 This week I’m doing toys, games, and kitsch. 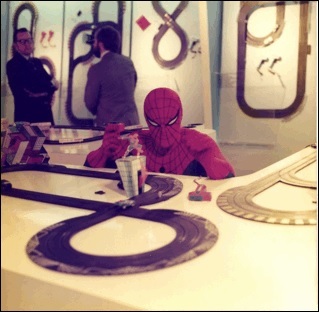 The kid is really stoked about his Spider-Man Race and Chase set, part of Matchbox’s Speedtrack/Powertrack line. 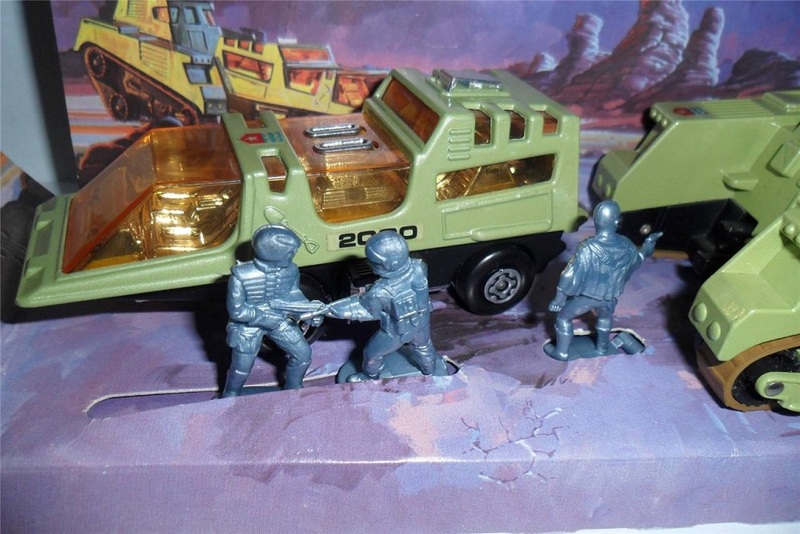 Here it is set up and ready to go. 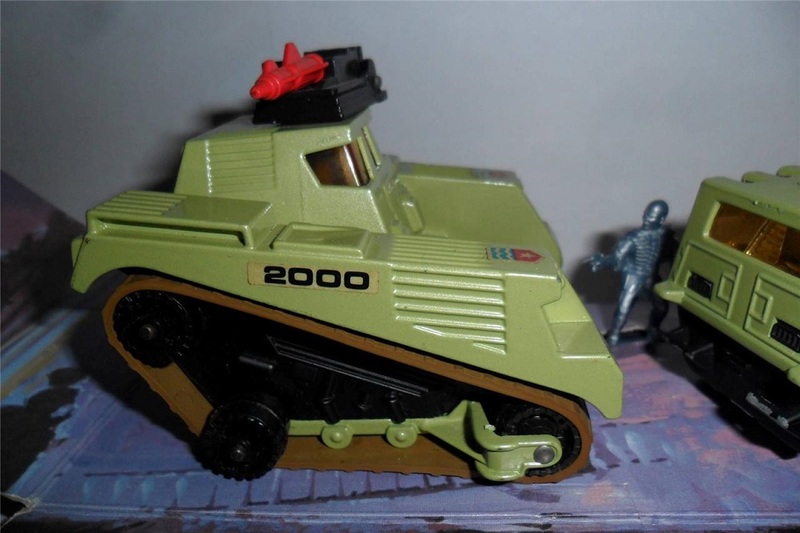 Photo is via the comprehensive Powertrack blog. 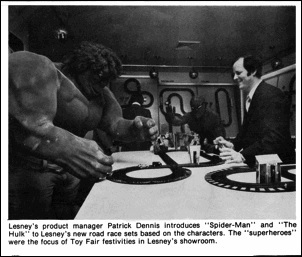 In the photos below, from the same blog, Spidey and the Hulk (the Green Guy had his own set) promote their products at the New York Toy Fair in the late ’70s. 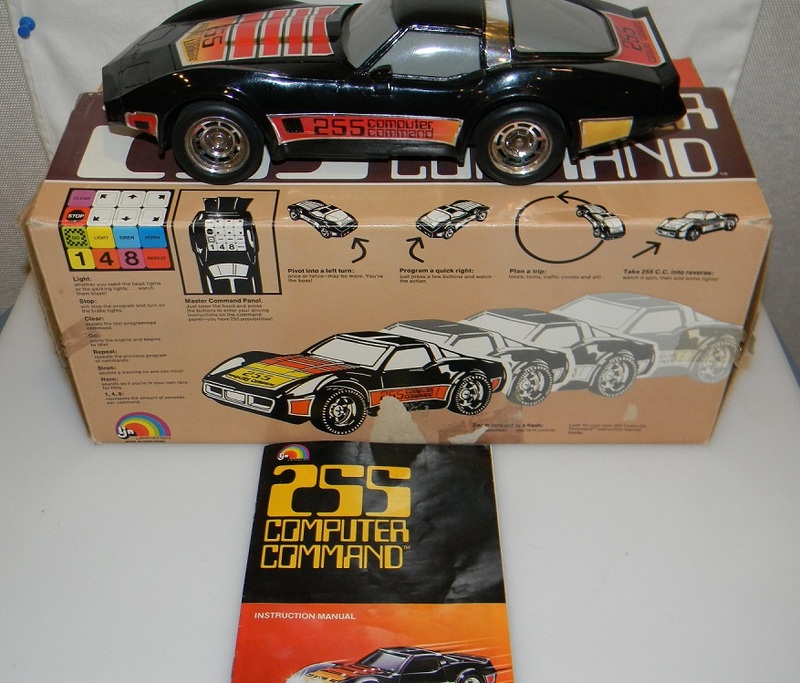 Pat Dennis, the designer and developer of Matchbox’s new racing system, lends a hand with the technical details. 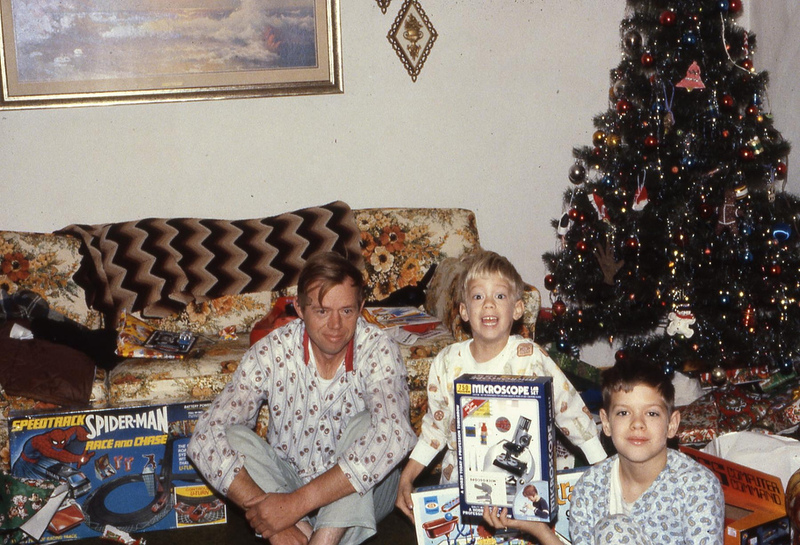 In the next photo, we’re joined by another happy kid, and a happy (but tired) dad. 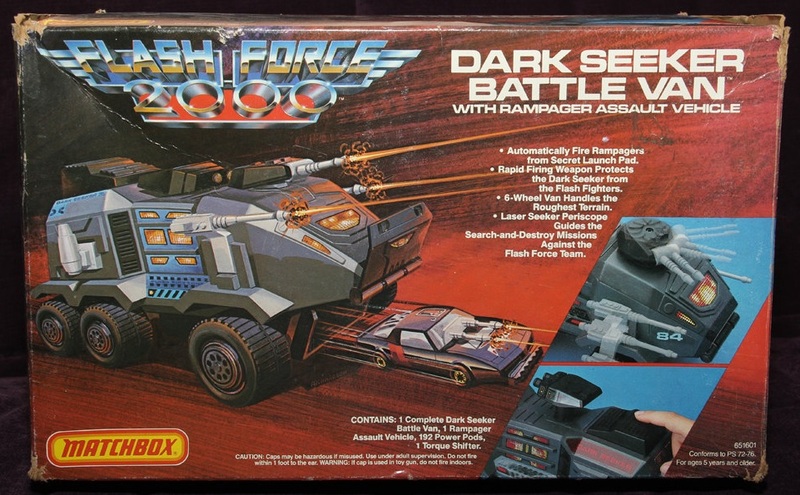 I love that the first kid’s expression hasn’t changed. 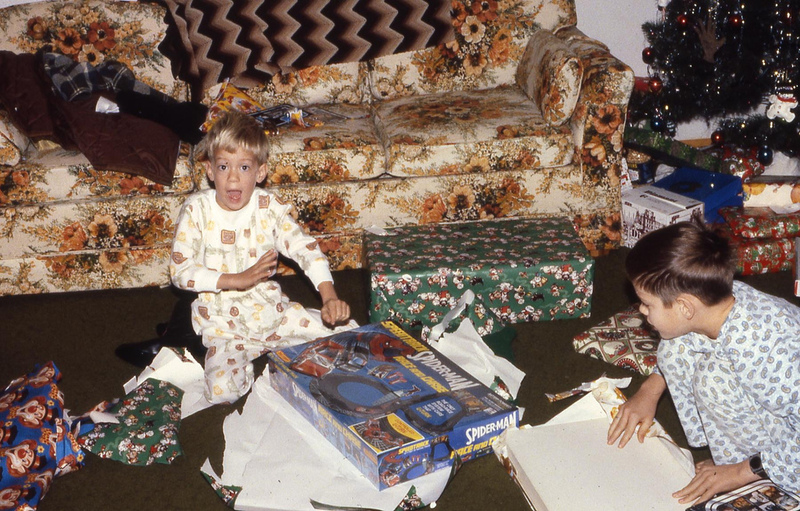 The Christmas morning photos come from Melissa Wilkins/Flickr. 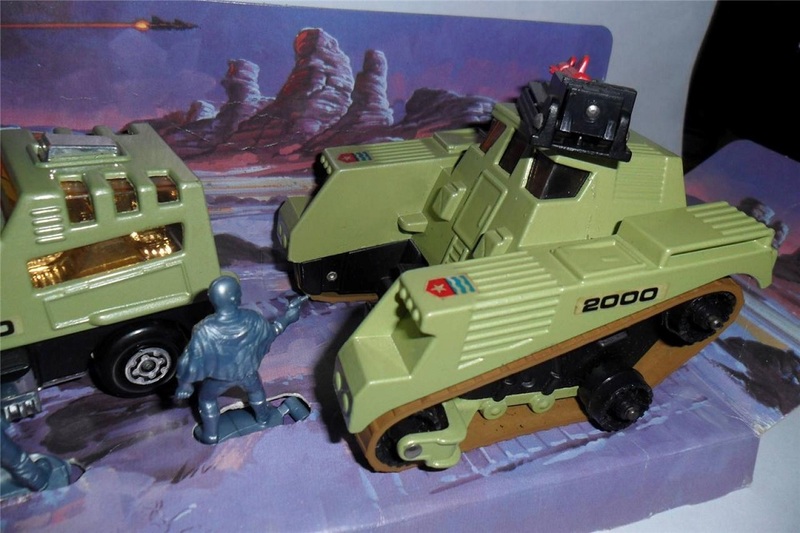 There’s an Empire Strikes Back figure on the couch, a Microscope Lab Set, Mouse Trap, and LJN’s programmable (like the Big Trak) 255 Computer Command Corvette. 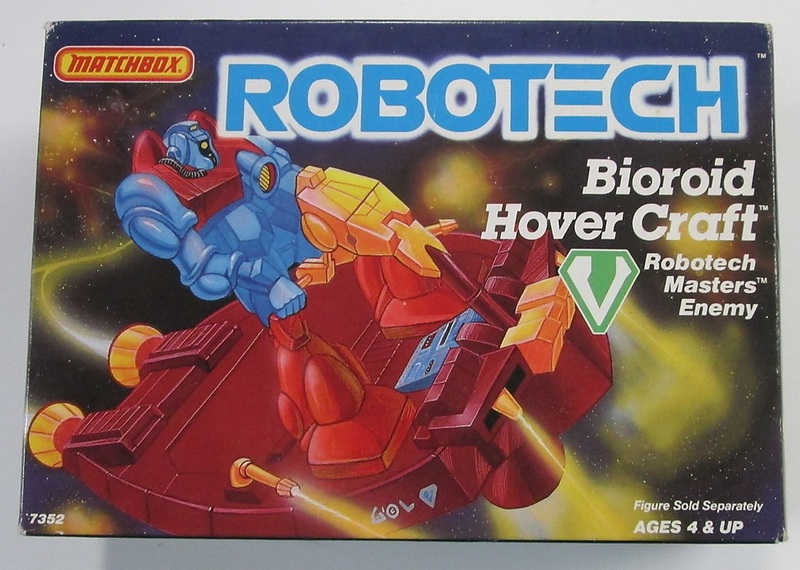 I remembered it when I saw the box.